The theme of pure, unadulterated evil is one that has been, rather unsurprisingly, rarely used in the creation of online casino sites over the years. However, the concept of cheekiness and being just a little bit naughty, that’s found a decent amount of success, and that’s exactly what you get from 666 Casino. 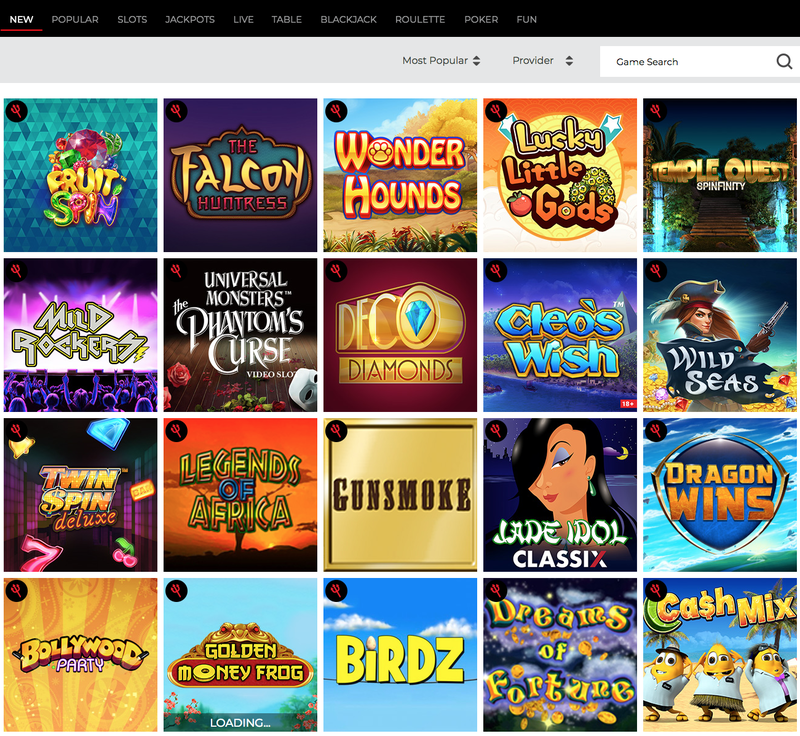 If you were expecting a casino dedicated to devil worship, you’ll either be pleasantly surprised or deeply disappointed (depending on your preference) by this brand-new site, which only joined the iGaming market in February 2018. Is the site’s name supposed to court controversy? It’s possible, but, to be honest, it doesn’t feel that way, instead this feels like a cheeky site that is looking to celebrate the fun of online casino play without ever taking itself too seriously. That’s not an easy task in the modern market, which is arguably oversaturated at this point, to stand out, a new site has to bring something really fresh to the table, and that takes more than a tempting welcome bonus. So, can this ‘Devilish’ site find a position amongst the big guns of the industry? Or is 666 Casino, like so many before it, destined for mediocrity. No prizes for guessing what the colour scheme is at 666 Casino, a black and red look with pretty much exactly what you expect from the design is what greets you here. That isn’t a bad thing though, predictability isn’t always a negative, at least not when it’s executed well, and there is something genuinely charming about the look of 666 Casino. A devil with a fiery fork stands proud in the banner, next to the welcome bonus advertisement, while various suitable imagery is scattered across the page. The only problem to be found here, is that it ends too early. As you scroll down the page, the pleasing design stops, as is replaced by a simple white background which takes much of the joy away. In front of this background stand thumbnails for popular games at the site, and that certainly helps, but it is still too much of a contrast, and a devil’s fork logo in the corner of each thumbnails does little to salvage that. A great start design-wise, but one that would benefit from being carried through across the whole site. The design may get disappointing as you scroll down the page, but it’s wise to not let that put you off, because if you decide to check out the selection of games that is on offer at 666 Casino, you are likely to be very happy with it. Titles from a smorgasbord of different developers that includes 1x2 Gaming, 2 by 2 Gaming, Aristocrat, Big Time Gaming, Blueprint Gaming, Elk Studios, Evolution Gaming, Foxium, Games Warehouse, Just for the Win, Leander, Lightning Games, Magic Dreams, Merkur, Microgaming, NetEnt, NYX, Probability Jones, Quickspin, Rabcat, Seven Deuce, Sigma, Spieldev, Storm Gaming, Sunfox Games, and Thunderkick means that whether you like big name, blockbuster releases, or lesser known titles from up and coming developers, 666 Casino has you covered and then some with its array of slots, table and card games, live dealer titles, scratchcards, and more. 666 Casino may have a devil of a sense of humour, but don’t let that scare you away, because this new online casino has a lot going for it.